The old shelves that contained components have been dispatched in a big way. They have been operating for many years but were no longer useful. We needed smart systems to be added to update our central warehouse, which provided us security, flexibility, speed and precision to select and collect components. 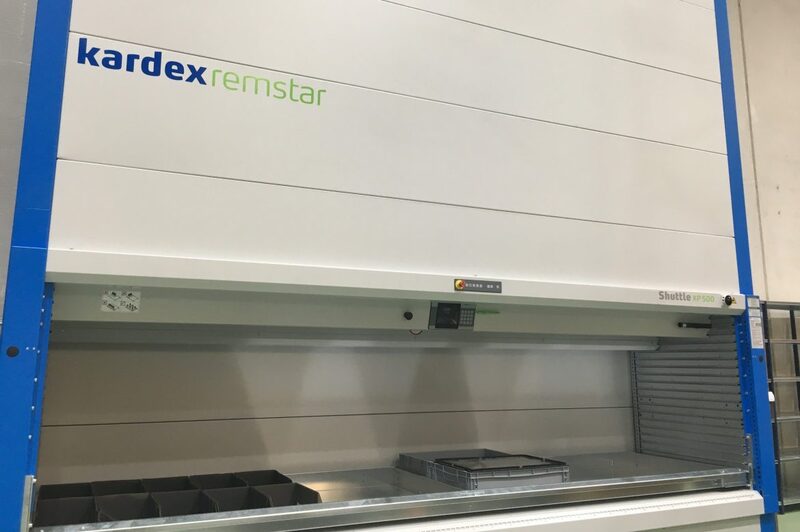 Some weeks ago, we launched two Shuttle XP 500 storage units provided by Kardex Remstar. These are vertical lift systems with a height of 10 m, designed to store and retrieve small-volume goods. Everything is controlled, computerized and saved in the location designated for each element. They contribute to optimize preparation times and increase storage efficiency and speed – for example, it can save orders of recurrent works and every time it is executed the system will show the same request, with no need to enter all the data again. They increase the storage capacity significantly – up to 60% – since they use the available space entirely. They offer the chance of immediate stocktaking. They provide a higher picking precision. They provide high execution speed thanks to the fast access to all the components stored. The parts stored in these units are kept in optimal environmental conditions, since the systems are sealed and include temperature control and air conditioning.